More than ever, remote camps are searching for ways to retain employees and offer a higher quality of life during recruiting. The top 3 demands are shelter, food and Internet/entertainment. Internet has become the connection to home and friends (Facetime), day to day bill paying (banking apps), product and services purchasing (Amazon) and entertainment (Netflix). Typically, Netflix has never been available over satellite as it consumes too much bandwidth. Even when we analyze the traffic demand at camps on Microwave, we often see the percent of unmanaged morale/public traffic for Netflix is 40%. Wow! 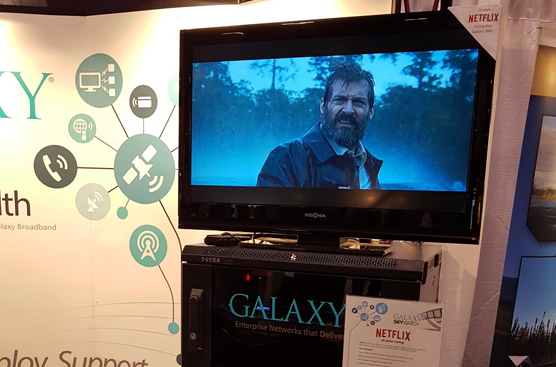 Galaxy has developed the SkyWATCH streaming service that allows companies who are on a satellite link to offer Netflix or if you are on Microwave connection, you can reduce bandwidth requirements or free up bandwidth for your office staff. Currently, Galaxy has deployed SkyWATCH to multiple camps and received great reviews on the service. SkyWATCH is Galaxy’s video streaming service that enables your staff to access Netflix. 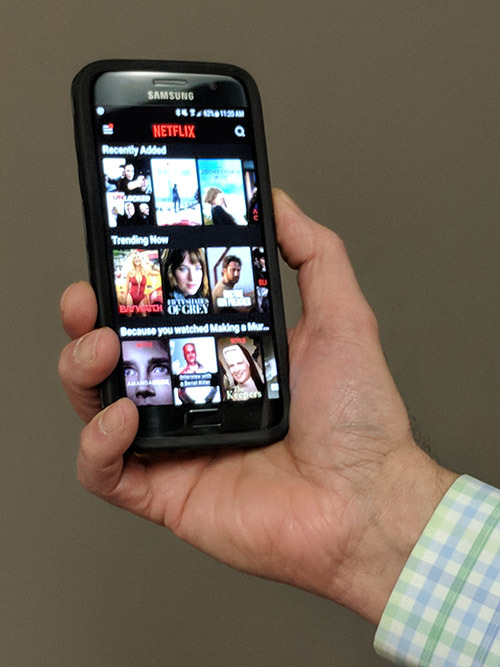 Anyone with an existing Netflix login will have access to their account and thousands of movies and TV shows hosted locally on the SkyWATCH server at the camp. Since SkyWATCH requires a personal Netflix account, camp workers can freely pick up where they left off on any movies and TV series they were watching from home, without missing a beat! When this is integrated with Galaxy’s SMU camp solution and Managed Services, you receive a discounted “bundled” service. When you include SHAW Satellite TV your employees will experience the highest level of entertainment user satisfaction. Call us today to learn more about this exciting new service.